The recent case of ATM machine cash robberies involving Russians has not yet reached its initial investigation and more cases of the foreign tourists getting involved in the robberies in Goa have started surfacing in the state. This shows more active involvement of foreign nationals in the criminal activities in Goa. According to the reports, the gang was involved in the robbery at Baman waddo in Siolim. They had broken open a house is situated in Siolim and fled with the cash and gold worth Rs. 11,60,000. All the accused are in their late 30s and mid-40s revealed the police sources. Anjuna police manage to crack this case within five hours after the crime been reported at Anjuna police station. The names of the robbers are given as Konstantine Chkhaidze, Iura Pirveli, Lasha Gurchiani and Irakli Tamliani “They were found in the possession of valid passports and the visa. All the accused were having their Visa valid up to May 2, 2019. Earlier the cases involving laborers coming down from the neighboring states were found involved into the robberies in Goa but now it seems the standard had been elevated and now more foreigners are found getting involved into the theft and other criminal activities. The police have recovered a cash and stolen gold ornaments worth Rs 9,00,000 and attached a rented i10 car, 7 mobiles, two sim cards, hydraulic cutter, electric grinder, screwdrivers, pliers, axo blades, pickaxe, hammer, cutters, and several other housebreaking equipment. According to the Times of India The complainant Maria Esabela Fernandes from Bamon Vaddo, Siolim, had informed the Anjuna police about a robbery at her place, and she filed a formal complaint about the same on Wednesday stating that some unknown persons entered her house and committed the theft. According to the sources in Anjuna police, the CCTV camera installed at the house helped police to identify the culprits “In the CCTV footage we saw three foreigners alighting from a rented car parked outside the house. We narrowed down our search to rented cabs and screened over 1,500 vehicles. 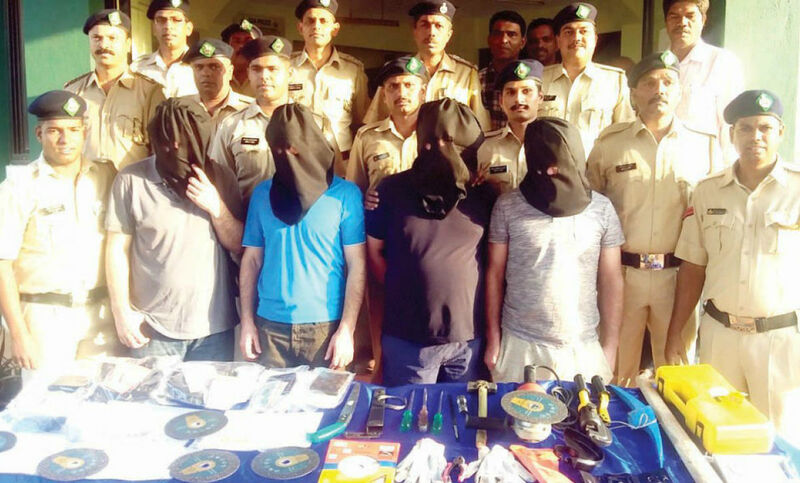 Upon search and finding mobile location, the car was traced at a hotel in Arpora,” Anjuna police inspector Navlesh Desai told TOI adding that the foreigners had come to Goa on March 7 and were residing in a rented house at Arpora. The house owner had not provided the tenants’ details to the police, so an offense has also been registered against him. Previous articleHow Goa is Being Destroyed by the Plastic?